The Western World is emerging from the largest economic crisis since the Great Depression. Economic crises are terrible, painful events that affect us all. Sometimes they are accompanied by large and persistent long-term job losses as in the Great Depression of the 1930s or the Great Recession of 2006—2009. At other times they are accompanied by hyperinflations, as in Germany following World War I when prices increased by a factor of almost four million in the space of five months. The human being in me is deeply disturbed by every crisis. The economist in me recognizes the invaluable opportunity that is provided by every crisis to disentangle one economic theory from another. Just as the astrophysicist learns by observing the explosion of a supernova, so the economist learns from observing the fallout from a major economic catastrophe. The Great Recession has both taught and reminded us that the existing economic theory that guides policymakers in treasuries and central banks is deeply flawed. It is time for a paradigm change. The Great Depression led to a revolution in economic theory and to a change in policy. 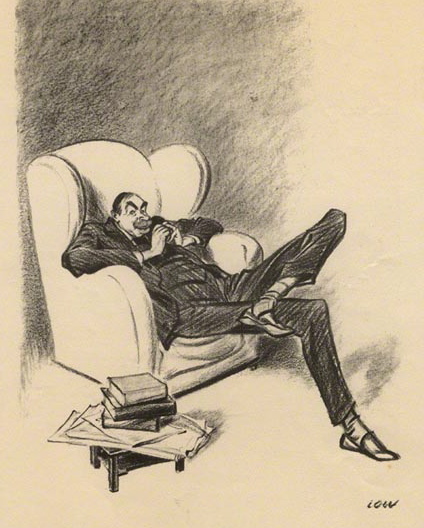 The theoretical revolution was initiated by the English economist John Maynard Keynes who, writing in 1936 in The General Theory of Employment Interest and Money, overturned the deeply held conviction that capitalist economies are self-stabilizing. To the contrary, he claimed a role for national treasuries and central banks to ensure that everyone who wanted to work would be able to find employment. His ideas were enshrined in the United States’ Employment Act of 1946, and they transformed the political landscape in ways that endure to this day. Following the Great Depression, macroeconomics was dominated by Keynesian ideas. But in the 1960s and 1970s, western economies experienced stagflation: a period of high inflation and high unemployment at the same time. Stagflation was deeply subversive of Keynesian economics because, according to the textbook interpretation of Keynes’ ideas, an economy can experience high inflation or high unemployment, but not both. Following the Great Stagflation of the 1970s, economists backtracked and revived the classical economic theory that dominated academic economics for a hundred and fifty years, beginning with Adam Smith in 1776, and culminating in the business cycle theory described by Keynes’s contemporary Arthur Pigou in his 1927 book, Industrial Fluctuations. That backtrack was a big mistake. It is time to realize that much—but not all—of Keynesian economics is correct. Capitalism is better than any other economic system yet devised for maintaining living standards for billions of people. But it is not perfect. We must redesign the rules under which markets operate to take advantage of what works and eliminate what does not. Not every crisis is transformative, but some are. There have been four transformative crises in the last century. The first was the US financial panic of 1907. The second was the Great Depression of the 1930s. The third was the Great Stagflation of the 1970s, and the fourth is one we are only now emerging from: the Great Recession of 2006—2009. Each of the first three crises was associated either with a transformation in economic thought or with a transformation in economic policy. Some were associated with both. The panic of 1907 was not the worst crisis to hit the US economy; there had been deeper and more persistent recessions in the nineteenth century, for example, the long depression of 1873 which lasted for 6 years. But the 1907 panic was the straw that broke the camel’s back, leading to the creation of the Federal Reserve System in 1913 and to the widespread acceptance of the government’s role in setting the price at which private banks can borrow and lend to each other. Will the Great Recession be followed by a theoretical revolution or a policy innovation of the same magnitude as the upheavals of the panic of 1907, the Great Depression of the 1930s, and the stagflation of the 1970s? I believe so. Like its predecessors, the Great Recession is a transformative event that will lead both to a paradigm shift and to a fundamental change in economic policy. The control of asset prices will seem like a bold step to some, but so did the control of the interest rates by the Open Market Committee of the Federal Reserve System when it was first introduced in 1913. We do not have to accept hyperinflations of the kind that occurred in 1920s Germany, nor should we be content with the 50% unemployment rates that plague young people in Greece today. By designing a new institution, based on the modern central bank, we can and must ensure prosperity for all. Featured image credit: British business budget by PublicDomainPictures. Public Domain via Pixabay. Roger E. A. Farmer is a Distinguished Professor of Economics at UCLA. In 2013, he was the Senior Houblon-Norman Fellow at the Bank of England. He has published numerous scholarly articles in leading academic journals, as well as books that have been translated into Chinese, Italian, Vietnamese and Hungarian. He has previously held positions at the University of Pennsylvania, The European University Institute and the University of Toronto. He is a Fellow of the Econometric Society, Research Associate of the National Bureau of Economic Research, Research Fellow of the Centre for Economic Policy Research, Fellow Commoner of Cambridge University, and Co-Editor of the International Journal of Economic Theory. 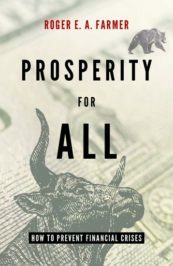 Farmer is the author of Prosperity for All: How to Prevent Financial Crises.